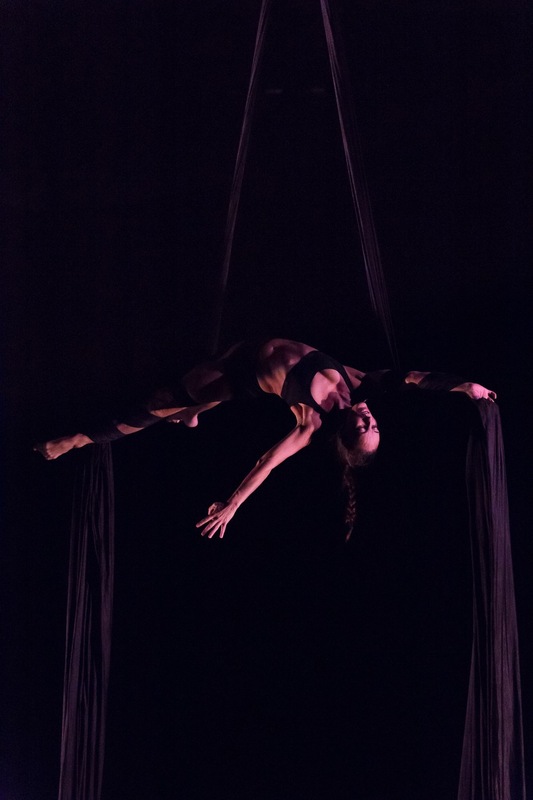 The 18th annual Aerial Dance Festival in Boulder, CO recently brought together aerial artists from across the U.S., as well as abroad, for two weeks of training, networking, and soaking up the beauty of Boulder. Attendees came from all over ranging from Lake Tahoe, CA to Madison WI, to Hawaii, to New Zealand, Costa Rica, and Canada. 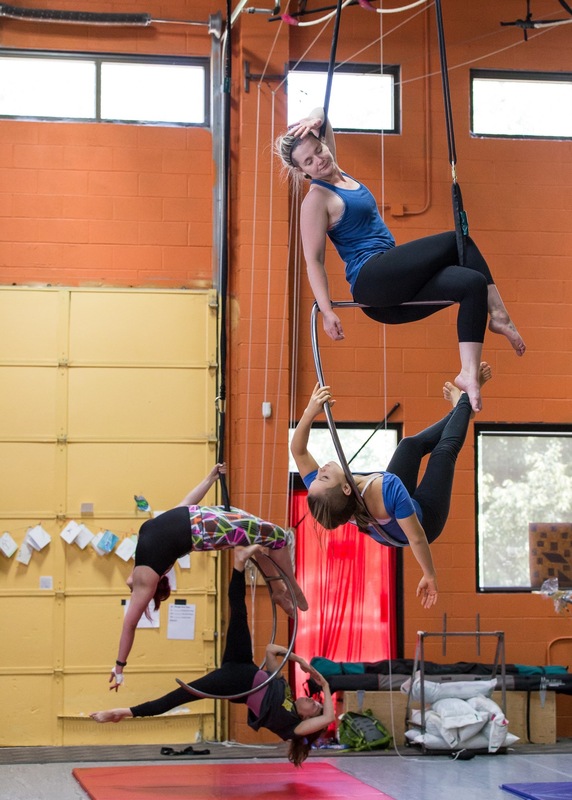 August 1-12th , 2016 was jam packed for attendees and faculty alike with a full schedule of various aerial technique and composition classes, floor based “give your arms a rest” classes, open gyms, and evening workshops covering topics like industry promotion, object manipulation, make-up and costuming, clowning, Thai massage, and more. This year’s faculty included out of town guests Rain Anya, Tanya Burka, and Ana Prada; Boulder locals Katie Elliott, Jeff Rusnak, Sonya Smith, and Yuki Tsuji; and Frequent Flyers Productions (FFP) staff members Angela Delsanter, Danielle Garrison, Danielle Hendricks, Valerie Morris, and Nancy Smith. ADF 2016 offered the spectrum in terms of level of skill and variety of subjects. Beginning classes included static trapeze, mixed apparatus, sling, lyra, and bungee (so so fun!) in addition to floor based classes for all levels in Gyrokinesis, injury prevention, handstands, acro-partnering, and pre-contortion. Intermediate/advances classes explored techniques and flows of fabric, lyra, low-flying trapeze, rope, and sling. 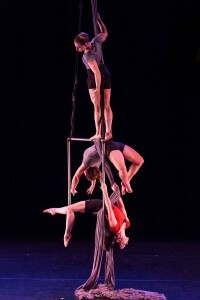 Invented apparatus is a particularly interesting class where students get to try out equipment like The Moon or The Cube and use improvisation scores to explore movement on non-traditional apparatus. Several classes went beyond technique drills and vocabulary to investigate more deeply the creative process. Fabric composition and lyra choreography, for example, explored ways to find new approaches to generating material as well as developing a dynamic and evocative performance presence. Vertical theater method, taught by Rain Anya, co-Director of Paper Doll Militia, focused on performance building theater-type scores, or “games”, that have a variety of objectives like getting out of your habits, new approaches to apparatus, body and spatial awareness, and creating captivating characters. As Nancy likes to remind students at ADF, aerial dance is a descendant of modern/post modern dance and that is why there is always a dance class offered. It shows for our individual and collective dance and aerial lineages. As such, Katie Elliot, co-Director of 3 rd Law Dance/Theater, held down the dance studio both weeks teaching an int/adv quirky and momentum-driven modern dance technique class as well as presented two works in the weekend showcase, one of which was her first dabble in aerial choreography in collaboration with Nancy Smith. Each of the instructors had a piece featured in the showcase held at The Dairy Center for the Arts in Boulder. A sample taste of these performances was presented at the informal showing and discussion event the first week of the festival called Intimate Encounters on campus at the University of Colorado. The style and tone of each piece in the showcase demonstrated the ideologies and themes of the performer and, in turn, what these performers focus on in their teaching. Ana Prada, who is from Costa Rica and just returned from teaching in France, let her body breathe in her solo. She moved from a primal internal space, spiraling herself like liquid along her black fabric in the low lighting designed by Craig Bushman (actually, all the lighting in the show was designed by Craig). Ana taught Gyrokinesis as well as fabric and lyra at the festival; the foundations of Gyrokinesis are the basis of her aerial work and approach. Tanya Burka, who lives in Montreal, Canada, comes from a circus background and is a contortionist, so her solo piece, based on the imagery of Starling bird formations as they migrate, featured her extreme flexibility and some very impressive drops that were even more accentuated by the super stretch fabric she used. Rain Anya, a Los Angeles resident and the only instructor to teach rope this year, demonstrated her exquisite momentum skills like butter on pancakes. Her performance was an example of that cathartic moment when technique and stage presence grab hands and go for a dance. Nancy Smith presented a new work for FFP built from the reality that she has four long standing company members, four new faces in the group and how do you bring all these people together? 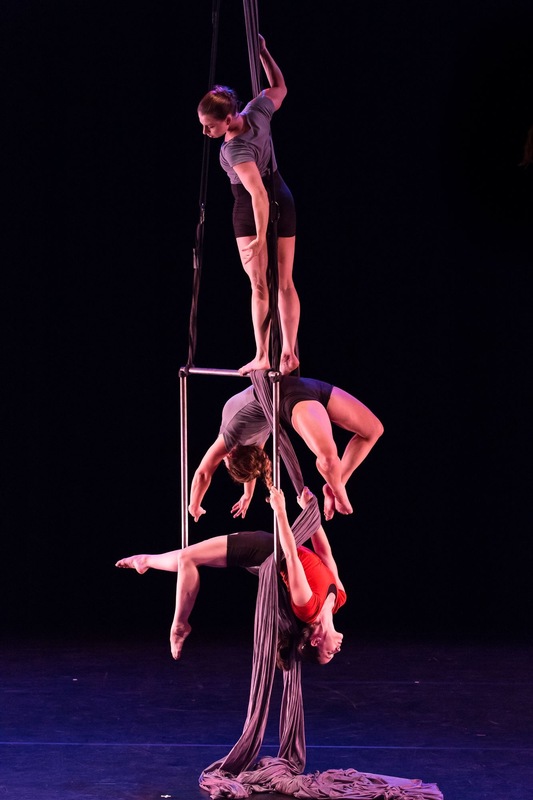 The piece featured an invented apparatus called The Window, flow flying trapeze, fabric, lyra, and the piece demonstrated creative ways to weave soft and hard, vertical and horizontal, bodies and equipment. 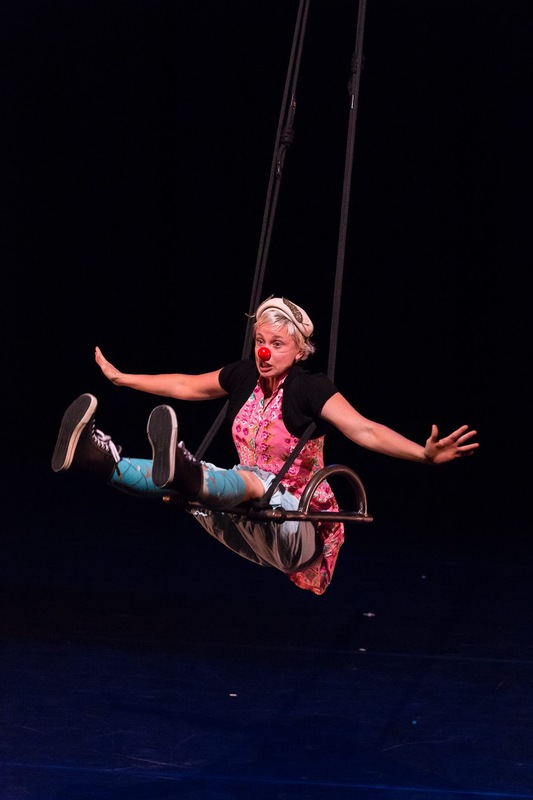 Valerie Morris also choreographed a group piece, an autobiographical aerial dance using the static trapeze as the common denominator between her intra-personal characters. The toe hang as the closing image by Valerie, was a crowd pleaser every show. Danielle Garrison stepped out strongly with her trio based on women’s reproductive rights. Red apples in mouth, Danielle and the two other performers used fabric tied in the middle so to support weight like a sling, allowing the dancers to use dance phrases as well as aerial skills to move through the space with different qualities. The audio was hard-hitting. Her message was clear. Audience members applauded her for making a piece about something that dives into a topic that is both important to her as well as is a political and religiously charged one. Sonya Smith, on the other hand, shared with the audience a hilarious, speech-impeded, clown character who demonstrated haphazardly how butts can be art, as long as they are in a frame using two differently sized steel window frames with handles. April Skelton, the new Education Director for FFP, demonstrated the fabric-like approach she uses in her classes for low-flying trapeze. Big drops and unique ways to flow through vocabulary were contrasted by simple gestures and stillness of the body while the trapeze spiraled and swung through the space. Very satisfying and just dang beautiful to watch. Danielle Hendricks’s solo choreographed by Katie Elliott featured an antique typewriter and had addressed letters in envelopes across the front of the stage. Many other dancers have performed this solo, but I’m sure none do it like Hendricks. She is quite the powerhouse. Overall, ADF 2016 was a success! Whether local or international, everyone seemed to be there to play, learn and most of all have fun. You could feel the solidarity of everyone working together to make this festival happen and be a positive experience for all. As a community, artists were actively helping each other, friending each other on Facebook, getting excited about connecting with faculty, and sharing ideas and experience. Even the rigging class got excited testing the load generated from the biggest drop the class could think of. Even more funny was trying to get each other to do the drop because everyone was so tired. The environment was supportive, the information was impactful. ADF is highly recommend for aerialists of any level or no experience at all to check out what is happening in the aerial dance scene. Just make sure you drink A LOT of water. Happy Dancing, y’all! Many Thanks: All photos above are by Nina Reed Photography. Find more pictures of the festival on Nina’s facebook page. professional dancer, teacher, aerialist, choreographer, and musician, currently based in Austin, TX. 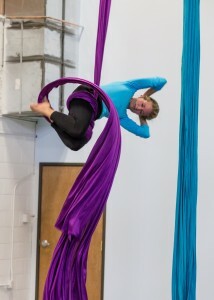 Her favorite thing about aerial dance is “noodling”. She been know to put her pug in a sling and pretend he is dancing. Find information about her at vitamindance.com.